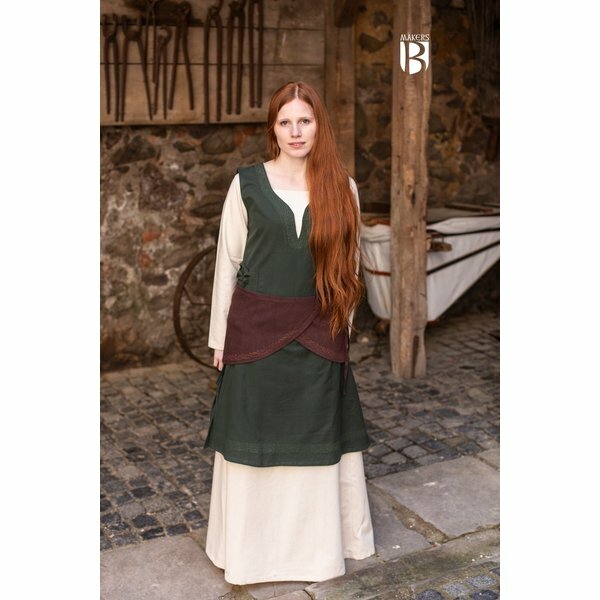 This wrap belt is made of cotton and can be worn as an apron. At the ends there are cords for fabrics so that you can drape the belt around your waist as an apron. 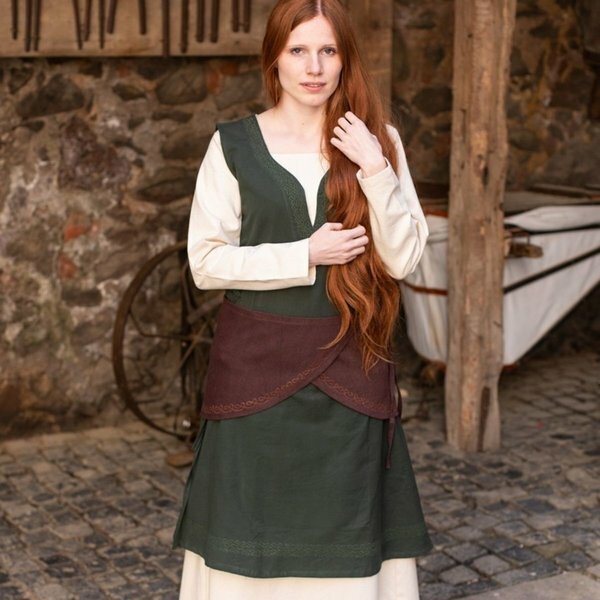 The bottom is richly decorated with a decorative knot motif made of imitation gold thread. 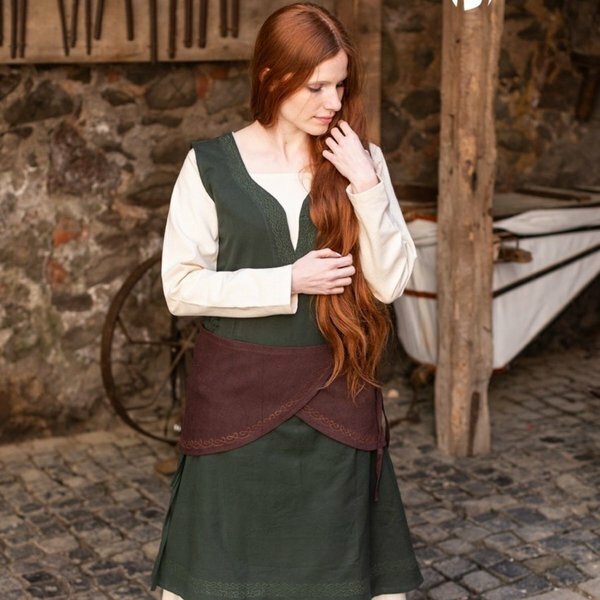 This fabric belt gives extra allure to your re-enactment or Larp outfit.